Welcome to Year 4 at The Discovery School! Year 4 is made up of 3 classes and we are located in the Cathedral End of the school. Telephone 01732 847 000 – ask for a call back and the class teacher will aim to return your call the same day. Our Topic in terms 1 and 2 is 'Raging Romans'. English: key text - Escape From Pompeii story writing. Uku and Lele poetry. English objectives and SPAG will also be covered across the breadth of the curriculum. Mathematics: Multiplication table tests, number skills, place value, calculations for addition and subtraction (written and mental methods), length. History - The Roman invasion and settlement of Britain, its impact and legacy. Geography - European countries, capitals and physical features. Comparing regions in Britain and Europe. Music - Ukulele and Music Express developing the music making skills of Year 4. Science - Animals, including humans and Sound. Computing - Internet safety, checking the reliability of sources online. Researching aspects of Roman life. PSHE - Growth mindset and Resilience. Safety Week. Social Emotional and Mental Health. How we learn and overcoming barriers to learning. RE - Role models, Jesus and his parables. PE - Multi-skills and Tri-golf. DT - Pizza making and food hygiene. Our Topic in terms 3 and 4 is 'Around the World'. English: key text - Kensuke's Kingdom. Narrative. Discussion text. Letters. Diary Writing. English objectives and SPAG will also be covered across the breadth of the curriculum. Mathematics: Multiplication, Division, Area, Shape, Fractions, Place Value, Decimals and Time. Geography - North and South America. Geographical features on America. Locating the Tropics of Cancer and Capricorn. Art - Hokusai, Printing and Texture. Science - Electricity and Circuits. Conductors and insulators. Sound. Computing - Simulations and Modelling. PSHE - Growth mindset and Resilience. Bullying. Dealing with change. RE - Christianity, Islam and Hinduism. Why do people believe in God and how is belief shown? Why do many people not believe in God? PE - Football, Tag Rugby, Dance and Multi-skills. Please be aware that timetables are subject to change depending upon circumstances. Reading every night – to be recorded in the reading record (if a child records this, please can an adult sign it off at the end of each week). Children are expected to read every night and will be rewarded for this on a weekly basis. Reading Challenge - A copy of this term's reading challenge can be found below. The expectation is that children will complete one activity from each coloured column between now and the end of term. All children who complete the reading challenge will be rewarded with a film afternoon at the end of the term. The films are always U rated. Weekly spellings to learn - The children will be tested on these weekly. A copy of the spellings for the year can be found below. 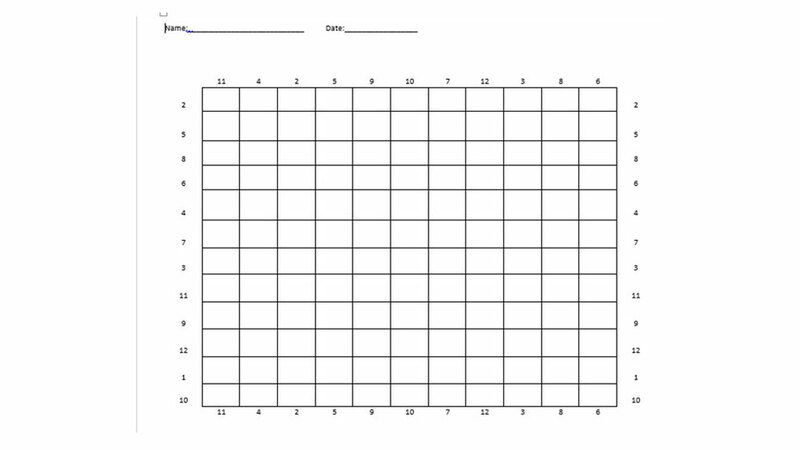 Times Tables- Children will be assessed every week through the use of speed grids. A list of the spellings we will be covering this term can be found below. Each week your child will be expected to learn their spellings for a test. Archimedes, Hubble and Berners-Lee will be tested on the spellings each week. All children will have a week to learn their spellings. You can also find a copy of the spellings for the term in your child's reading record. Each week your child should be practising their times tables. 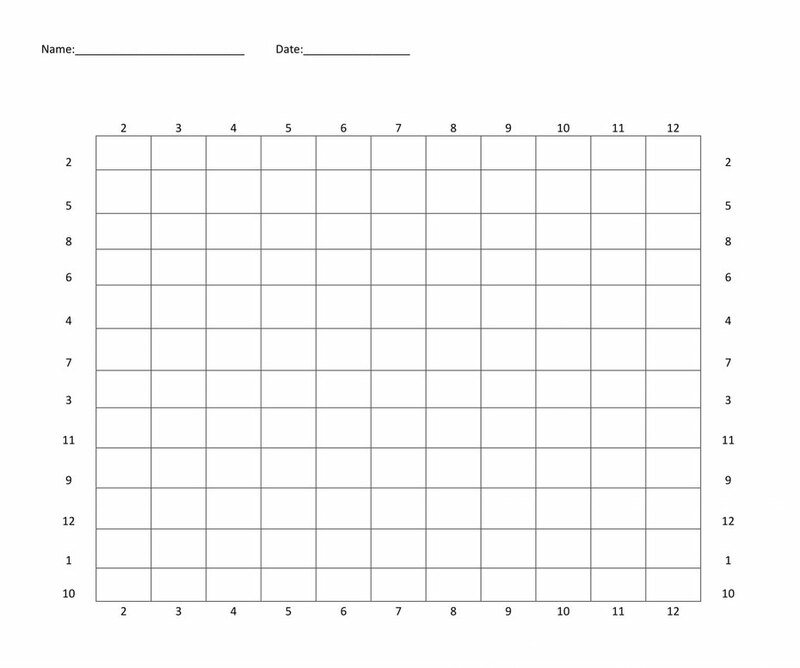 They will be completing a speed grid in school each week, where they have 12 minutes to answer as many times table questions as they can. This will then be marked and the class teacher will identify a times table for your child to learn each week. The speed grids are differentiated to cater for all abilities. Examples of the speed grids to be completed can be found below. 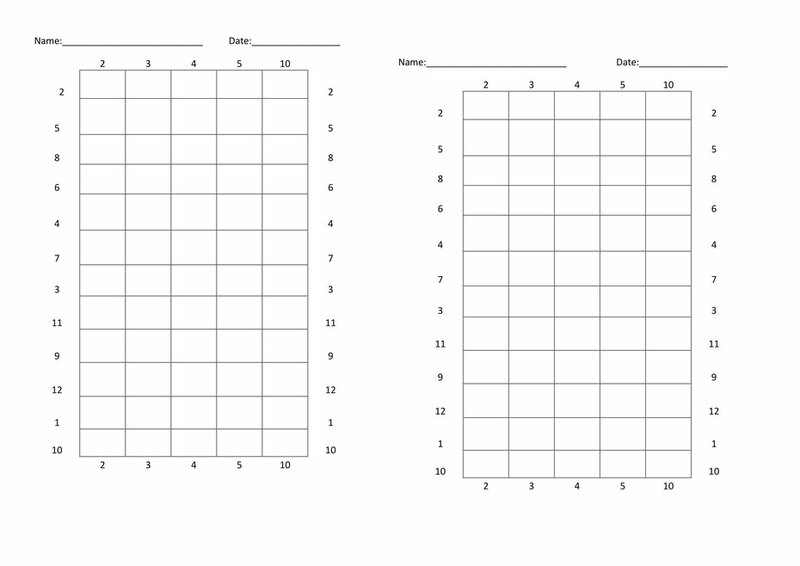 After completing the speed grid, your child will move onto a differentiated Mental Maths paper each week . This illustrates the Quality First Teaching strategies that all children access on a daily basis, plus any extra interventions for Reading, Writing and Maths that the children are provided with if necessary.